Part 1: What Are the Features of Tempered Glass? Part 2: What Can Tempered Glass Be Used For? What is tempered glass? Tempered glass refers to a type of security glass commonly used in places and equipment where a standard glass poses danger. This glass is about five times more robust compared to normal glass. In addition to that, on falling it does not break into shards. It is crafted using a long process involving heating and fast cooling that makes it stronger than the standard glass. As a kind of glass, although it is tempered, it still exhibits the fundamental characteristics shown by glass such as transmitting light and radiating solar heat. Strength: Tempered glass has about five times more strength than the normal glass with similar thickness and size. It has a tensile strength of 65MPa, a bending strength that ranges from 120-200N/mm2 and a surface compression more than 95MPa. Excellent thermal strength: Tempered glass has a much better thermal strength than that of standard glass that enables it to bear temperature changes of around 250°C. Safety: It is also known as safety glass, as it is extremely hard to break tempered glass and in case it does break, it breaks up into safe globules rather than shards. Resistance & processing: Its resistance to any surface damage is similar to that of annealed glass. As it is extremely robust, it is nearly impossible to cut or alter clear tempered glass. Spontaneous breakage: Tempered glass is known to have spontaneous breakage. This refers to its characteristic of breaking without any apparent reason. This normally occurs when the nickel sulfide rocks become larger in size because of the frequent cooling and heating. Breakage pattern: The breakage pattern of tempered glass is different, too. If a part of tempered glass somehow fails, the whole panel will shatter at once. Also, tempered glass often fails quite later after the certain event that resulted in the failure took place. Once a part fails, it triggers stress that begins traveling to the entire board and breaks it up. 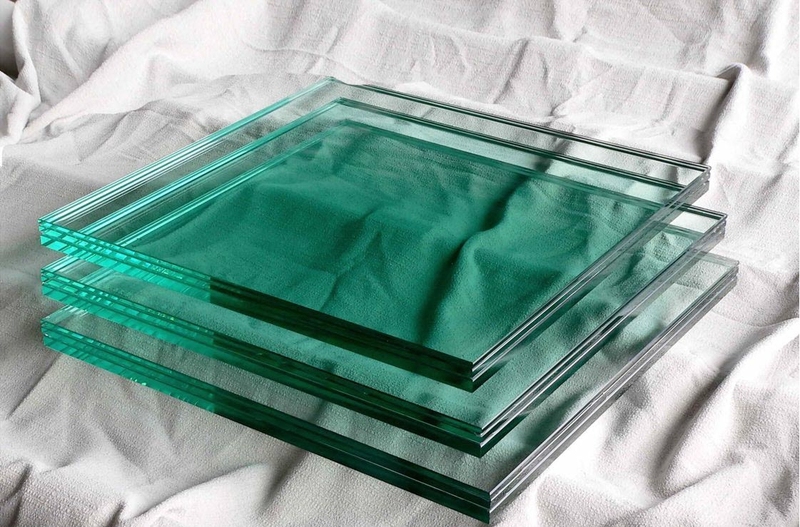 Tempered glass is commonly used in the industrial field for constructing buildings, manufacturing of equipment and in the automotive industry as well. Tempering neither makes it more porous than the normal glass nor is it more immune to scratches and scrapes than the normal glass. The tempered glass is tougher than the annealed glass. Tempered glass is mainly designed to be used in places where there exists a huge risk of breakage and contact. Construction: It has many applications in building and construction. Commonly, the tempered glass is used for raising the rudimentary beauty of different interiors and exteriors as it is used on the facades of buildings, dividers, showroom shelves, doors, shower cabins and other structures similar to these. Manufacturing industry: As it can resist high temperatures, it is excellent for inclined glazing. In the manufacturing industry, it is used in automobiles, refrigerators, ovens, shelves and fireplace screens. It is used in rear windows and for making showroom structures in the automotive industry. In addition to being used in the industrial sector, tempered glass has also been employed as a good screen protector. Mobile phone screen protector: One usage of tempered glass that we are familiar with is protecting mobile phone screen. As screen protectors, tempered glass is the otherwise options besides plastic type screen protector. Step 1: Properly clean the screen of your device so it becomes clear of all the dust particles. Use an alcohol wipe for doing this and get rid of all the moisture with the help of a micro-fiber cloth that is also lint-free. Step 2: Hold the protector from its sides and peel off the thin, clear sheet. This will reveal the glass's adhesive side. Take care that you don't touch the protector's adhesive side. Step 3: Align the glass's bottom with your phone and then lay it down very gently. Before you continue, ascertain that the protector is parallel with the device. Step 4: Press the glass's center softly and then glide your finger down your device's center. This will help the adhesive spread out smoothly and evenly. Make sure that the bonding agent sticks on the device completely. Step 5: If you find any bubbles on the protector, push them towards the sides with the microfiber cloth or squeegee card that comes with the tempered glass screen. You can also watch the following video to better understand these guidelines. Server responsed at: 04/18/2019 12:33 p.m.